Rack2-Filer Smart is an ultra-intuitive application that allows users to manage scanned documents and electronic files in easy to navigate digital binders. 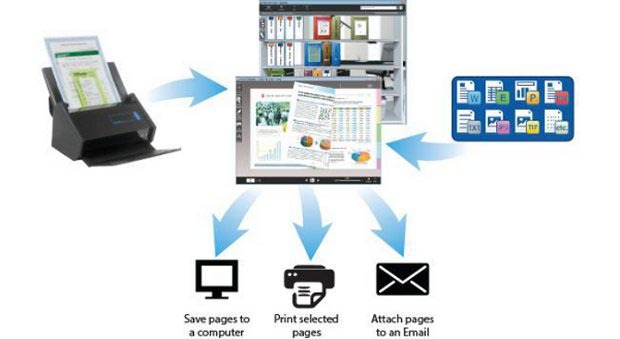 With Rack2-Filer Smart and Fujitsu ScanSnap, users can easily scan, print, edit, distribute and organize their digital documents. Rack2-Filer Smart provides users with an easy to use interface by creating-life-like-virtual cabinets and e-binders. Users can also customize their Rack2-Filer Smart cabinet for a familiar look and feel. 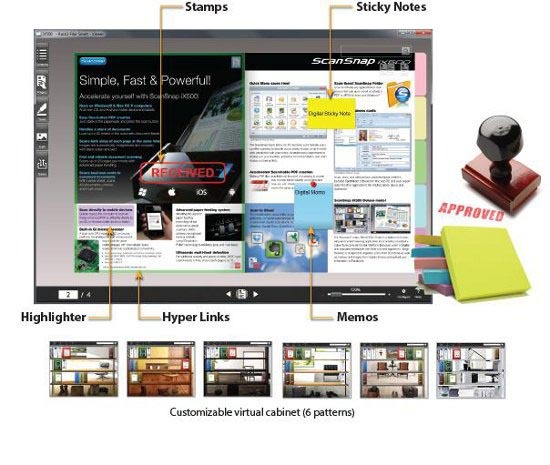 While flipping through pages, users can add highlights, divider sheets, sticky notes, and memos to enhance the organizational value of their archive. With Rack2-Filer's built-in Optical Character Recognition (OCR) engine, content can be made searchable by word, phrase or number. 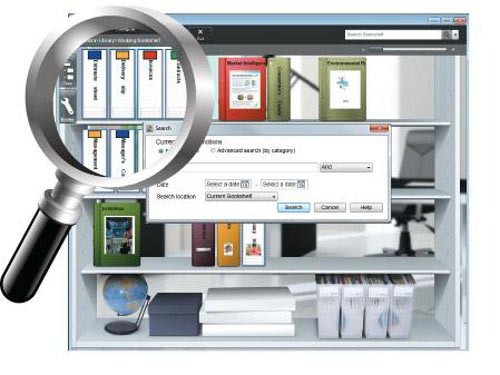 Even "sticky notes" and "binder titles" can be searched. Please refer to the Rack2-Filer Smart Web site and the Magic Desktop Web site. When installing Magic Desktop, Internet connection is required. Rack2-Filer Smart and Magic Desktop runs as a desktop application. For use with Service pack 2 or higher. For use with Service pack 3 or higher. This is the free capacity required when .NET Framework 4 is not installed.